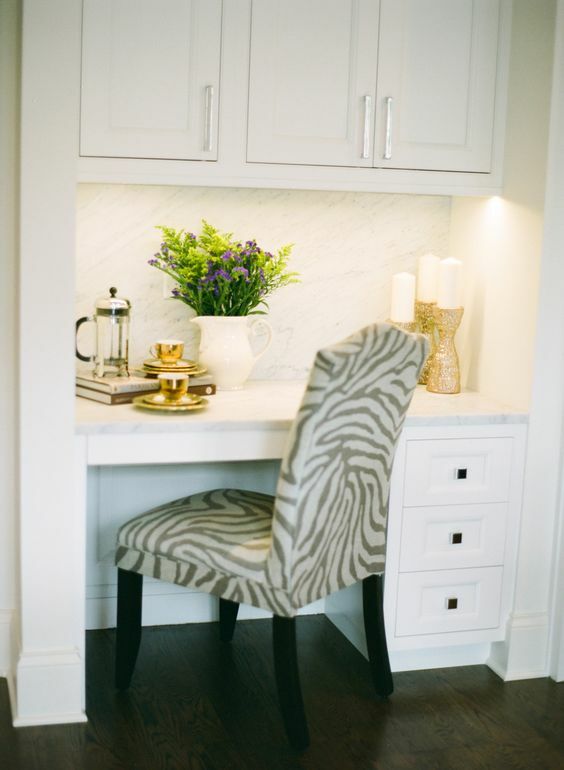 A study nook was one of my must haves when designing our plan. For a long time now the laptop has lived on the dining table or my bedroom floor, so I’ll be very happy for it to have a more suitable home. 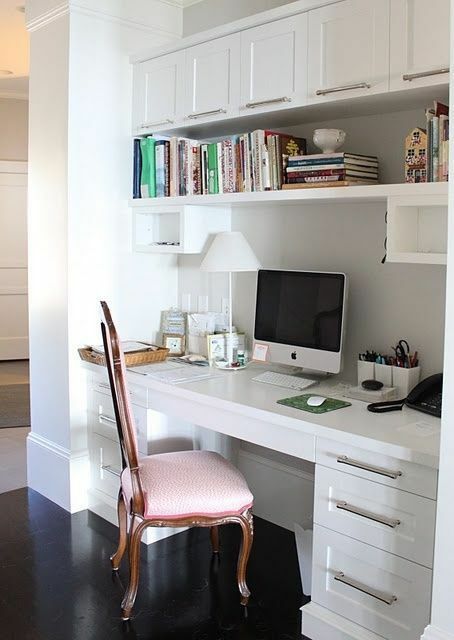 I think a study nook is a great addition to modern day homes as a media hub. 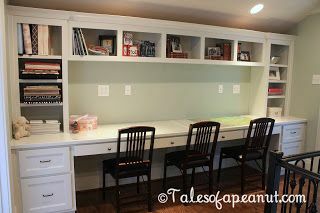 The place to house the modem, printer, bills and paperwork, and be a charging station for all your devices. Be sure to include several power points (and USB points) above and below the desk. This study nook is about the size I’ll have to work with. With two sets of drawers and overhead shelving and cupboards it ticks all the boxes. This is too gorgeous to get any work done! Even a marble splashback! Bifold doors are a great idea to keep a messy study nook tucked away. Easy to just shut the doors at the end of the day or when unexpected guests arrive. 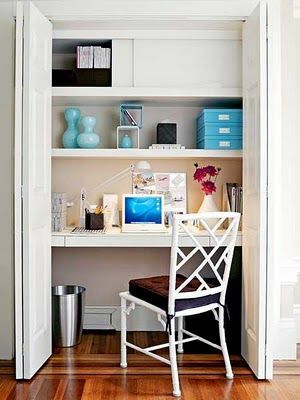 I love this multi person study nook by Jenn Elwell – If I had that much space it’s exactly what I’d do. Although there’s no way my kids would work well sitting that close to each other. For more study nook inspo, head to my Pinterest board here.